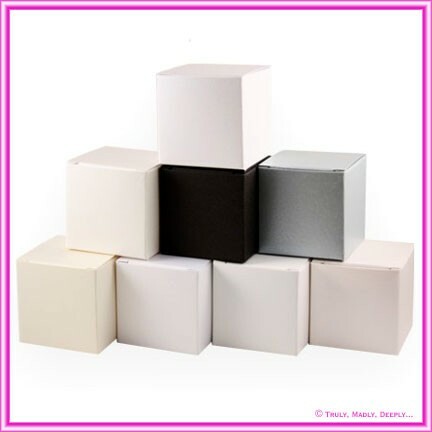 The 5cm cube is one of the most versatile bomboniere boxes available, and is very popular for weddings and christenings - just fill with chocolates, sugar coated almonds, jelly beans, lollies or any small goodies that you wish! The box measures 5cm x 5cm x 5cm or 50x50x50mm and arrives flat packed for easily assembly - no glues required, just simple folding! 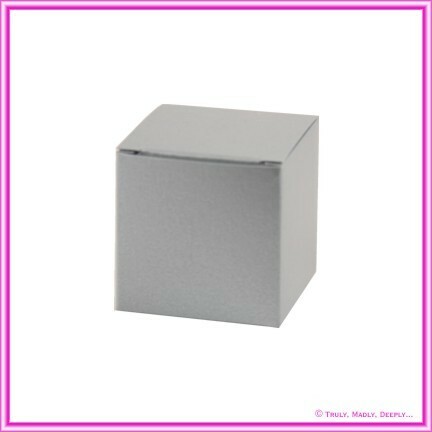 Other box sizes such as 3 Chocolate boxes, purse boxes, cake boxes & chair boxes are also available. This is Genuine Crystal Perle™ stock from Italy - not a cheap flimsy Chinese copy.